Study Legal English – Helping lawyers and law students become fluent in legal English. Study Legal English helps non-native English speaking lawyers and law students become fluent in legal English. Find out about the Study Legal English resources by clicking the icons below. The world’s first free, regular legal English podcast. Listen anywhere, anytime via the website, iTunes & most podcast apps. 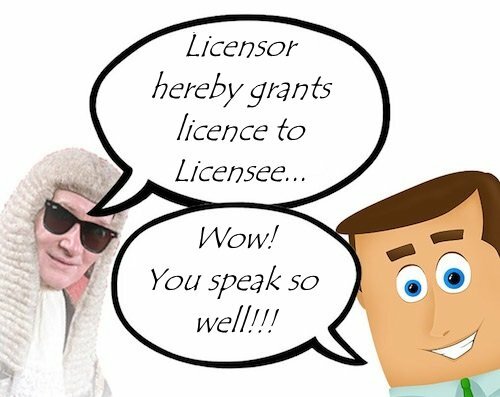 Hear real legal English as it’s spoken by native English speakers. 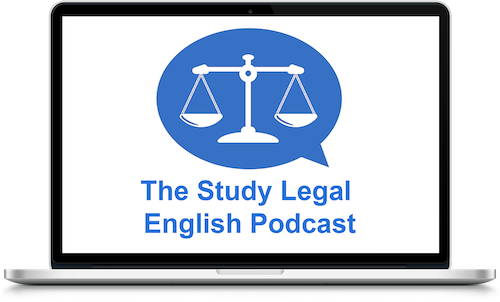 New Study Legal English Podcast episodes released on a regular basis. Legal English vocabulary, collocations, preposition usage & sentence constructions. Hear articles written by legal experts & interviews with legal professionals. Follow legal English courses to improve your legal knowledge on a specific topic. 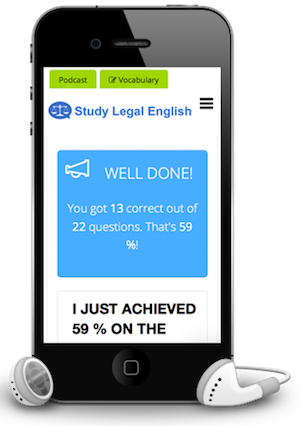 Podcast Pro Membership helps you get ahead with your legal English. Synchronised transcripts for every Study Legal English Podcast episode. Master your pronunciation of English words and phrases. Test yourself via quizzes – strengthen your legal knowledge. Earn certificates and badges for progress. Share your legal English achievements with others. Study Legal English launched in September 2017 and is listened to in over 100 countries around the world. The Founder Louise Kulbicki, started Study Legal English after teaching Legal English for many years and noticing a lack of online Legal English resources available – Study Legal English aims to fill that gap. You can find out more by clicking the button below.